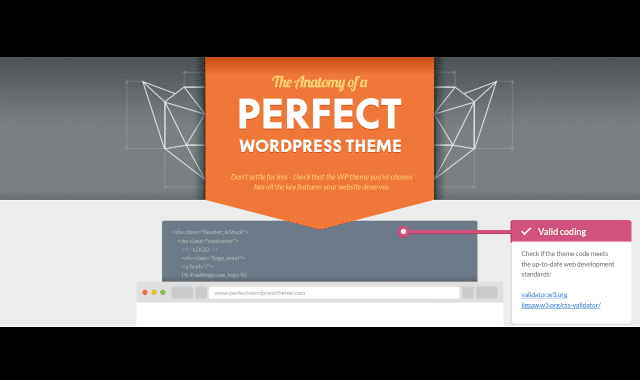 The Anatomy Of a Perfect WordPress Theme #Infographic ~ Visualistan '+g+"
To make your life easier, we’ve rounded up the essential features a WordPress Theme should have in the form of the Cheat Sheet. As you can see, choosing a perfect WordPress theme is a comprehensive task. In addition to selecting a nice design, you also have to check whether it is properly coded, responsive, SEO friendly, easy to use and comes with additional features and elements. It’s a good idea to note down all the features you would like to have. Then you are good to go and ready to find your perfect WordPress theme.